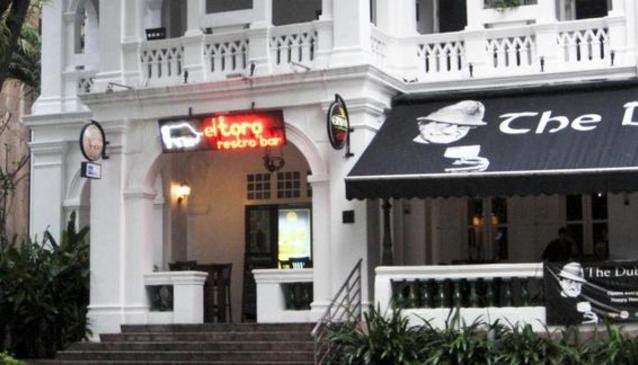 One of Singapore's most elegant Latin restaurants, El Toro occupies a charming colonial building on the edge of Orchard Road. The menu is a mix of South American flavours with dishes ranging from mexican classics like taco salad and fajitas to more sophisticated fare like grilled salmon steak and Puerto Rican-style paella with fish, chicken, and sausage. There is a respectable wine list and the bartenders mix a mean margarita or mojito. The second floor balcony is great for people watching, and the restaurant regularly holds live music, dance and other cultural events with all proceeds going to charity activities.